Now I’m not television executive or anything, but scheduling a sitcom to regularly air on American Thanksgiving seems unwise to me. Then again, the one and only time I’ve ever celebrated the holiday with a family in the US we gorged ourselves in the early afternoon, opening up our evening to whatever we wanted, so what do I know. On the other hand, maybe some kind of holiday episode was called for? I guess its absence is what happens when CBS’s comedy lineup is in such flux that 2 Broke Girls‘ season premiere is announced just one month before it airs. At the very, very least you’d think that given the title this week would be covering some sort of pregnancy or infant-related incident. A lot of the time, when I wish I had implemented a grading system into these reviews when I first started two years ago, it’s because I want to underscore how truly bad an episode was. Not this week. 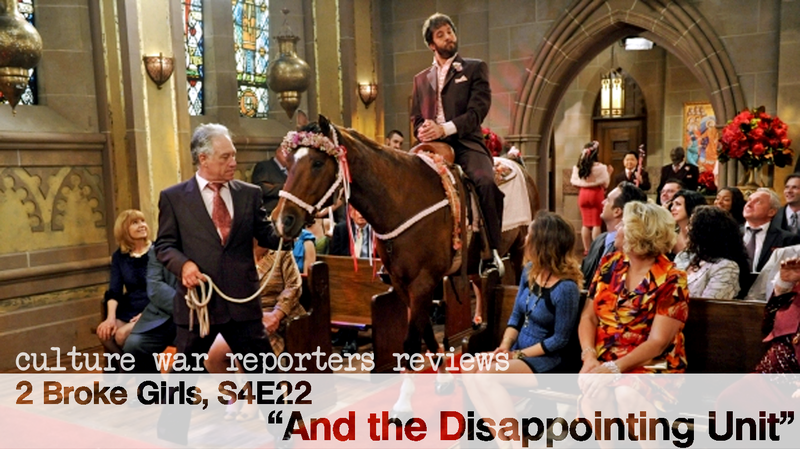 This week I wish that I was able to qualify how good 2 Broke Girls usually is so that I could give “And the Gym and Juice” an A.
I, Evan Yeong, do solemnly swear that I will keep it together when reviewing this episode. 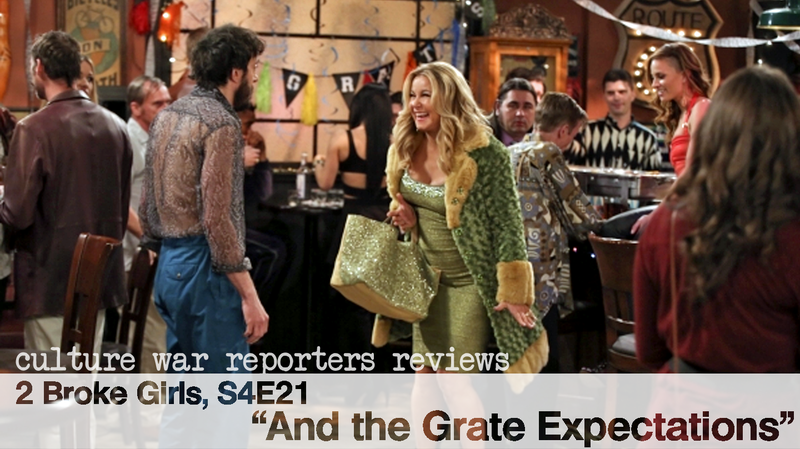 This close to the end of Season 4 and it only makes sense that I remain cool, calm, and collected as I chronicle how 2 Broke Girls concludes its fourth year and prepares for its fifth. In retrospect, given how things have gone as of late, I was kind of a fool for not instituting the EVAN YEONG MADNESS WATCH I considered back in my first ever review of the show.